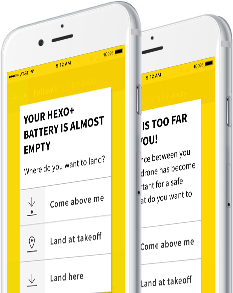 Hexo+ is your self-flying camera: an intelligent drone and an app designed to create awesome video footage of yourself, without any piloting involved. 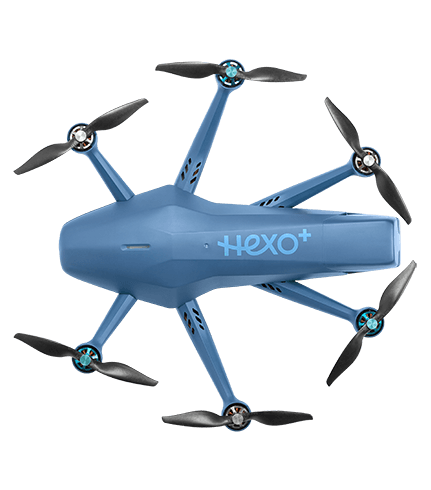 You want to know when Hexo+ with 3DGimbal will be available? Our proprietary framing and tracking algorithm enables constant framing and image stability. 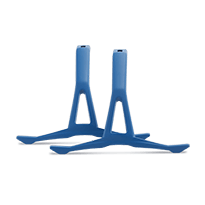 Fits on or in a backpack, tool-free removable props, feet and gimbal. 5-second battery replacement for multiple flights. 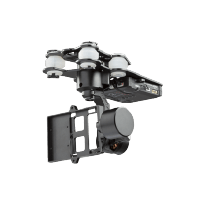 3-Axis Gimbal for state of the art image stabilization. 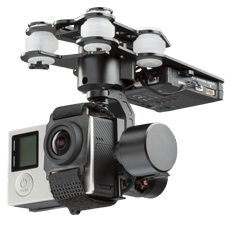 Ready to fly the world’s best action camera. Customize and combine movements, coming soon! Built-in fail-safe scenarios in case of failure. Online knowledge base and live customer support. Quarterly functional upgrades of the app and firmware. 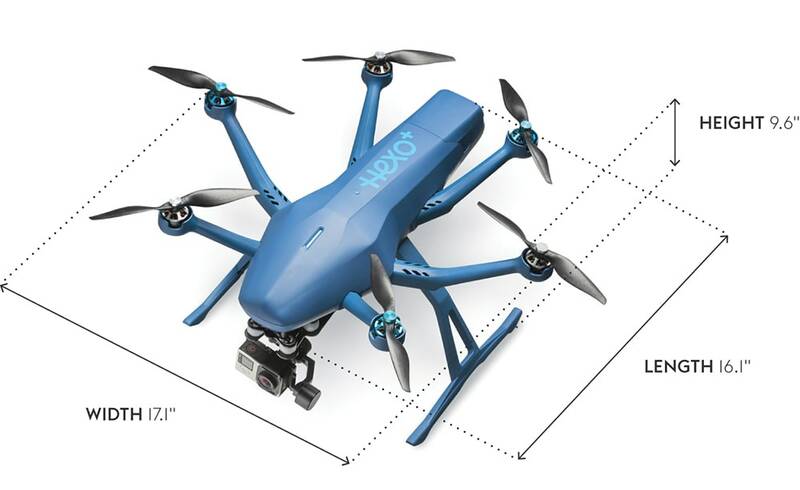 6-props design and 45 mph max speed. How does Hexo+ track me? The basic principle is quite simple: we use the GPS position of your phone together with the data of other sensors (accelerometer, gyroscope, barometer and magnetometer) to know where you are and how you move. 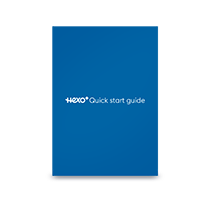 To process this data, we created specific algorithms that enable Hexo+ to follow and anticipate your trajectory and speed. We build our software from an image-making perspective to make sure your footage looks amazing both in terms of framing and stability. We developed safety features for all possible failure scenarios. 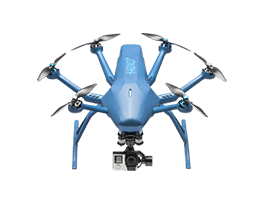 Depending on if you lose the GPS signal, your phone’s battery runs out, the drone’s battery runs out (and a lot of other scenarios) we’ll have your drone land safely. 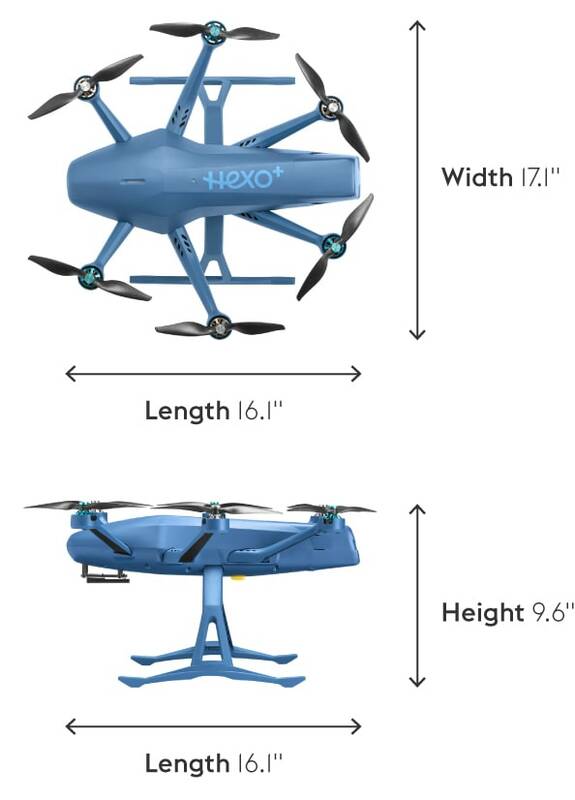 Nope: when using Hexo+, you will have to anticipate the drone’s trajectory, just like you would with a trailer or a kite. The obstacle avoidance technology available today isn’t quite cutting it in our eyes but we’re actively researching solutions for the future. 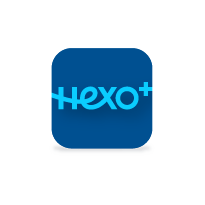 Hexo+’s tracking performance relies on the sensors of its associated smartphone. 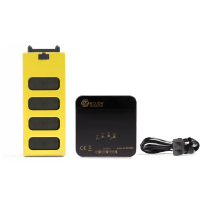 For instance, altitude tracking is only available with smartphones that have a barometer.